The Zenin Thai Massage is both energizing and relaxing. Thai Massage works your entire body, with your Zenin therapist using their hands, knees, legs, and feet to not only stretch you but also apply pressure to your muscles and loosen your joints. 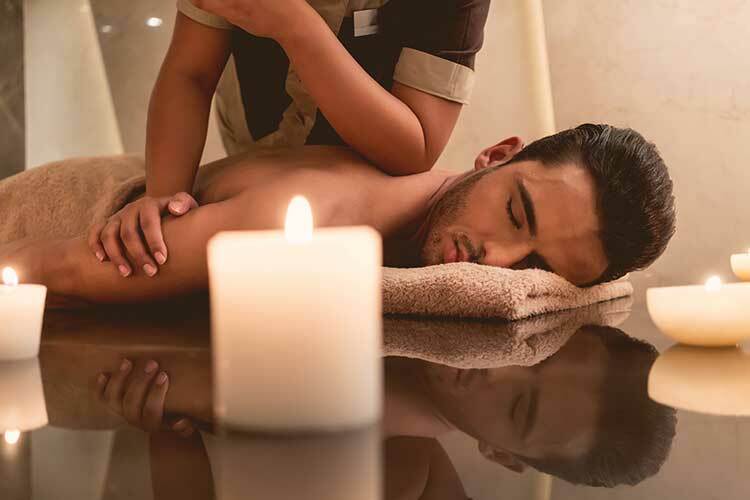 Thai Massage combines yogic exercises, acupressure, and reflexology which manipulate the energy lines to diminishes tension, stimulate metabolism and to create a feeling of well being and vitality. Thai Massage provides enhanced energy flow, pain relief, reduced headaches and stress reduction. Thai Massage will help to promote balance of all the body’s systems (body, mind, and spirit) to create a complete sense of well being. Expect to feel relaxed, restored, and rejuvenated. Thai Massage is an ancient therapy practiced for thousands of years. The technique applies dynamic bodywork therapy in which you are skillfully placed into a series of yoga-like postures and stretches, while compression techniques by palm, thumb, elbow or feet are applied with slow and mindful movements. Zenin is premium on-demand massage provider, with experienced practitioners available .